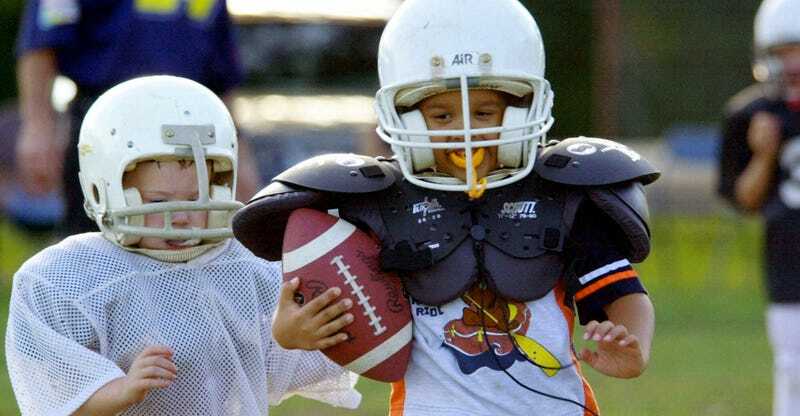 A youth football league in Mt. Pleasant, Penn., has cancelled its season in the wake of continued violent threats against league officials. The decision to cancel the season was made yesterday, after someone left a box full of ammunition shells with the names of league officers written on them at a local field. The decision has been made with great regret that the 2015 MPAJF football season has been cancelled. After continued threats against League officials, coaches and referees, the League has only one option, to cancel the season. Today, October 13, 2015, ammunition shells were placed at the field gate with names of League officers printed with permanent marker. Due to the increase in violence of these threats, the safety of our children is the main concern. Decisions of this magnitude are not done lightly; rather they are done with the advice of the State Police, FBI, school administrators and League Officials. We hope that as parents you will agree with this decision and try and cooperate with everyone involved to bring forward the person or persons responsible for these actions. The league’s future and our children’s continued participation in future seasons is what is in jeopardy. According to WTAE, a fight between parents broke out at a game a few weeks ago, and another game had to be rescheduled because a threat was made. Meanwhile, a recent study posits that participation in youth sports is declining at a rapid rate because parents are ruining everything.